Understanding the origins of poor literacy and numeracy skills in adulthood and how to improve them is of major importance when society places a high premium on proficiency in these basic skills. This edited collection brings together the results of recent longitudinal studies that greatly extend our knowledge of what works in raising skill levels, as well as the social and economic returns to improvement. Many fundamental research questions in adult education involve change over time: how adults learn, how program participation influences their acquisition of skills and knowledge, and how their educational development interacts with their social and economic performance. 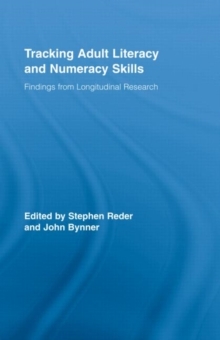 Although a growing number of longitudinal studies in adult basic education have recently been completed, this book is the first systematic compilation of findings and methods. Triangulating findings from different methodological perspectives and research designs, and across countries, this text produces convergence on key conclusions about the role of basic skills in the modern life course and the most effective ways of enhancing them.